I don't own a dog. I don't particularly want to own a dog. Truth be told, I am not even that fond of dogs. 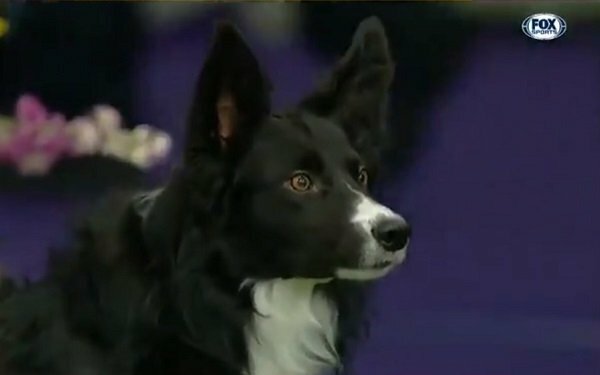 And yet, each year at this time, I cannot help but be mesmerized by the televised spectacle of the Westminster Kennel Club Dog Show. In our house, this two-night live telecast has become an annual tradition on par with watching “It's a Wonderful Life” or “A Charlie Brown Christmas” every December. As in past years, the Dog Show is broadcast live from Madison Square Garden in New York on a Monday and Tuesday night in mid-February, always around Valentine's Day. This year’s coverage took up three and a half hours each evening this week on Monday and Tuesday on Fox Sports 1. Fox Sports took over the show from NBC Universal in 2017. Since 1984, the show had been a staple on USA Network. I do not know why NBCU let the rights go, but it is possible that the Westminster Kennel Club sought a new TV partner when NBC became the network of another high-profile dog show with another entity, the American Kennel Club. The AKC's annual dog show held in Philadelphia -- officially titled “The National Dog Show” -- turns up on NBC each year around Thanksgiving. That's a great dog show to watch on TV also. If memory serves, this event is not aired live. But the WKC Dog Show is -- which happens to be why it is a great TV event. For those of us who watch all of the coverage on both nights, there is no way we are going to switch off the TV and go to sleep on Tuesday night before the crowning of the “Best in Show” champion dog. In fact, last year's crowning went well past the telecast's scheduled end time before the top dog was named, giving Fox Sports ample opportunity for more commercial breaks just when the audience watching at home could not look away. In this way, the annual telecast the WKC Dog Show resembles most is the Academy Awards. In the post-mortem complaining about the Oscars, one of the complaints almost always focuses on the telecast's length. But as everyone realizes, the last thing ABC is ever going to agree to do is bring the Oscars to an end before it can drag on to nearly (or past) midnight. Ending the Oscars on time at, say, 11 p.m. Eastern would deprive the network of a chunk of money it makes in the overtime before the announcement of Best Picture ends the show. Speaking of commercials, the WKC Dog Show commercials, with their loving tributes to dogs, are often just as rewarding to watch as the Dog Show itself. Purina Pro-Plan has been the show's principal sponsor for a while now. One of the secrets to the success of the WKC Dog Show on TV is the voice of Michael LaFave, the announcer who is heard (but not seen) giving those informative descriptions of each breed as they are being shown. His recitations about the long histories and general temperaments of these dogs are the best parts of the show -- along with the dogs themselves, of course. This year's team of announcers and commentators included Chris Meyers, Gail Miller Bisher, Don Sturtz, Jenny Taft, Karyn Bryant and Jamie Little. Great job, everybody. And see you next February. 2 comments about "With Westminster Kennel Club, Fox Sports Puts On The Dog". Bill Abbott from Hallmark Channels, February 13, 2019 at 2:53 p.m.
And don’t forget the best dog show of them all, American Rescue Dog Show, starts Sunday at 8P and airs for 2 consecutive nights on Hallmark Channel. The spotlight is on dogs who were rescued, regardless of breed. And, they are treated like real dogs, unlike at Westminster, who, by the way, refuse to support the shelter dog cause! Rescue dogs are the most deserving of all, regardless of shape, breed, size or color! William Graff from beIN Media Group replied, February 13, 2019 at 3:05 p.m.
Amen, Bill - can't wait to see the Rescue Dogs strut their stuff!